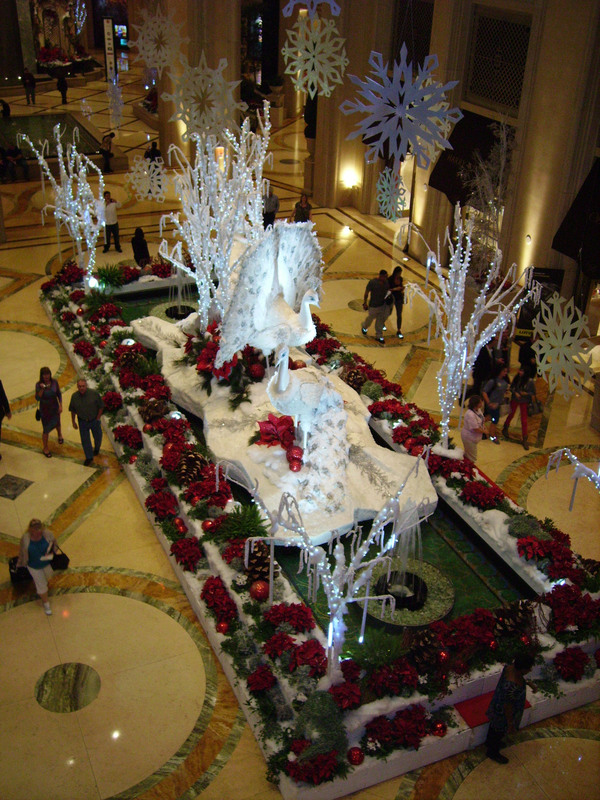 Yesterday I posted photos from The Bellagio in Las Vegas, showing their awesome Christmas decorations. Today, I thought I’d share some photos from The Venetian. Their decorations were also very impressive! 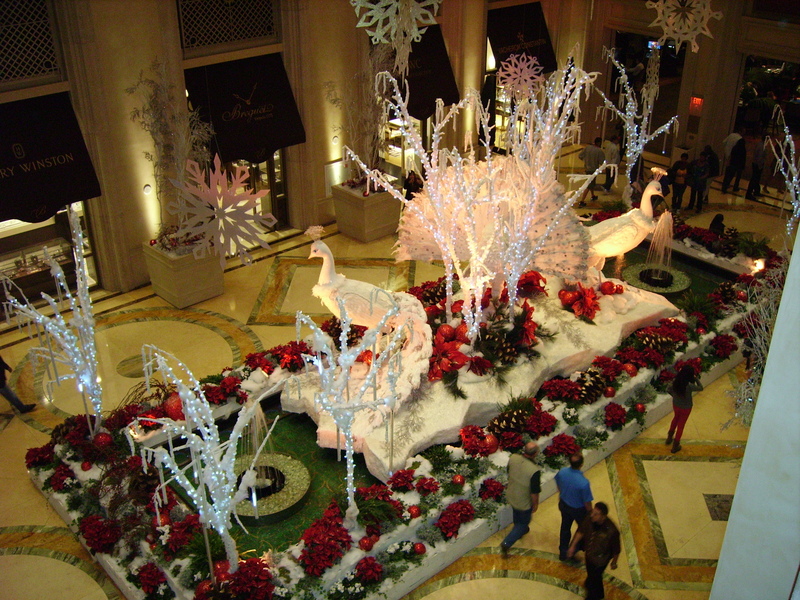 Their center area was filled with this beautiful display of white peacocks, sparkling branches and red poinsettias. 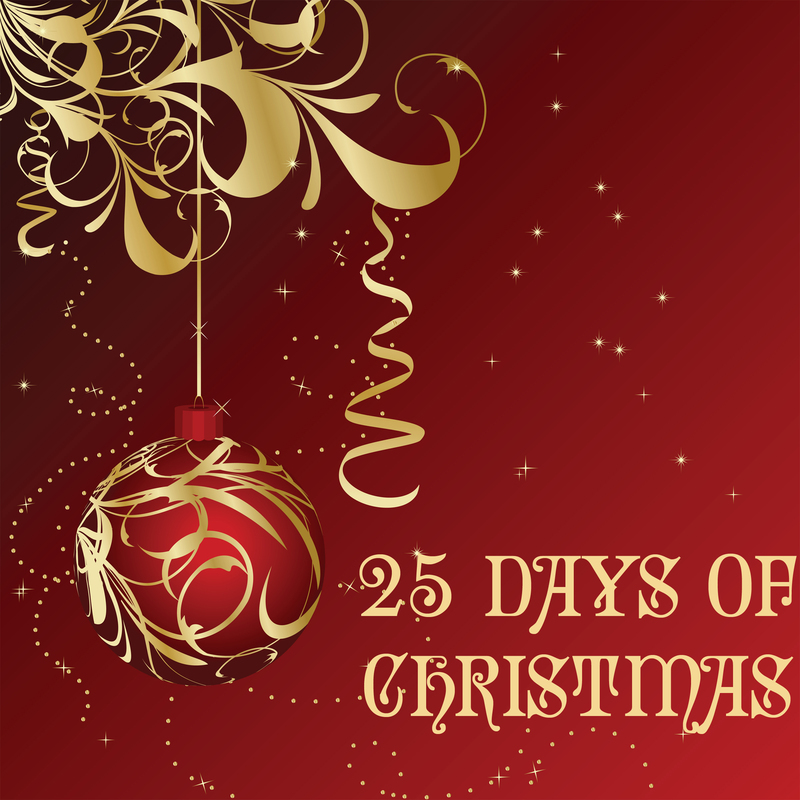 Outside, they held a Christmas parade and tree lighting twice nightly. There were dancers, jesters, a queen and women in really, really weird costumes walking on stilts. But it was all fun to see. 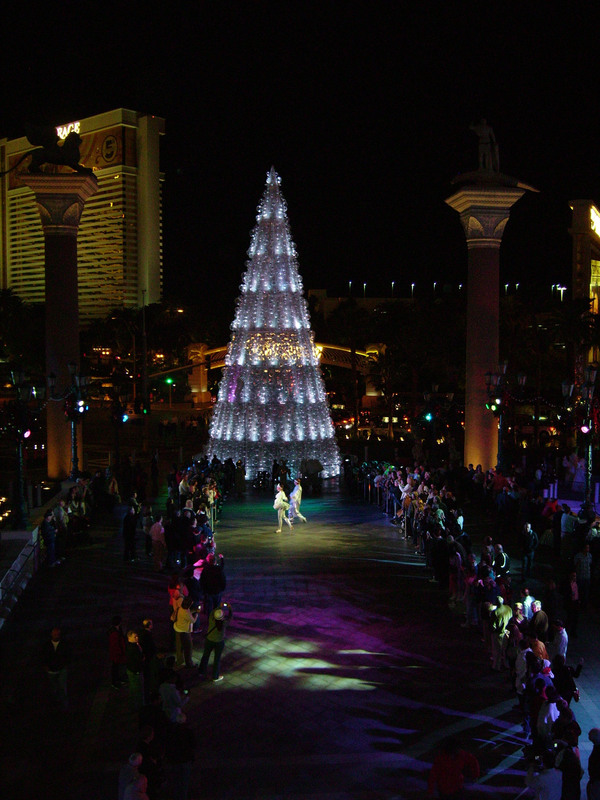 Especially when they lit up the huge tree. 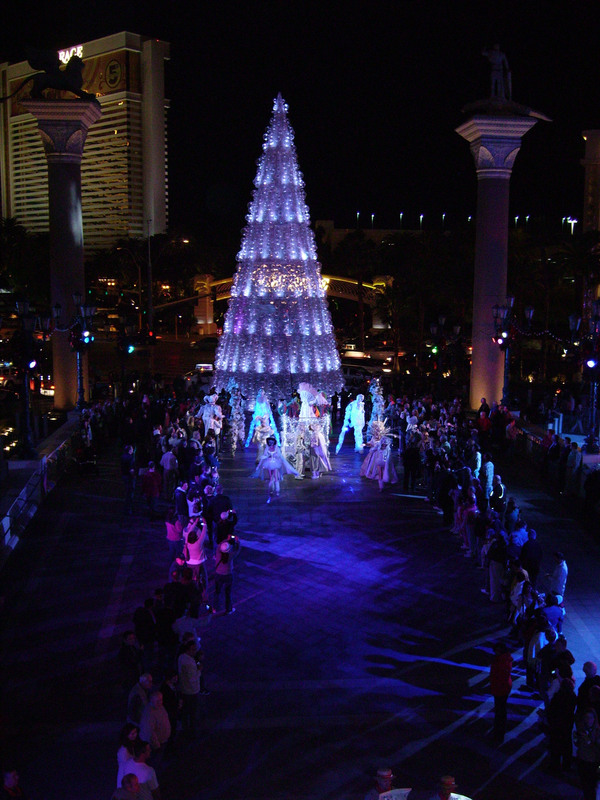 A free concert, ice skaters, a photo booth and fun decorations added to the festive atmosphere. 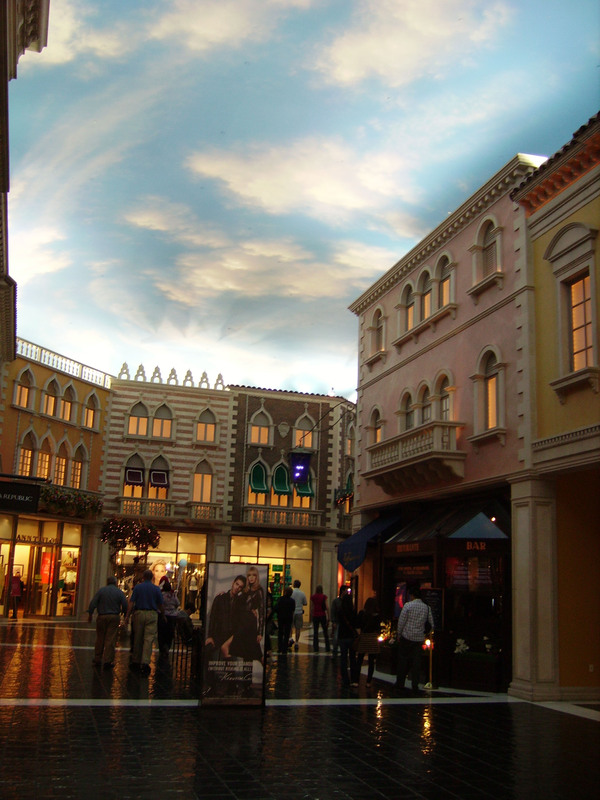 After the parade, we wandered inside The Grand Shoppes, attached to The Venetian, and browsed in the windows. I love how the ceiling was painted to look like sky and the store-fronts are so fun and intriguing! It certainly helped add some jolly to our holiday!